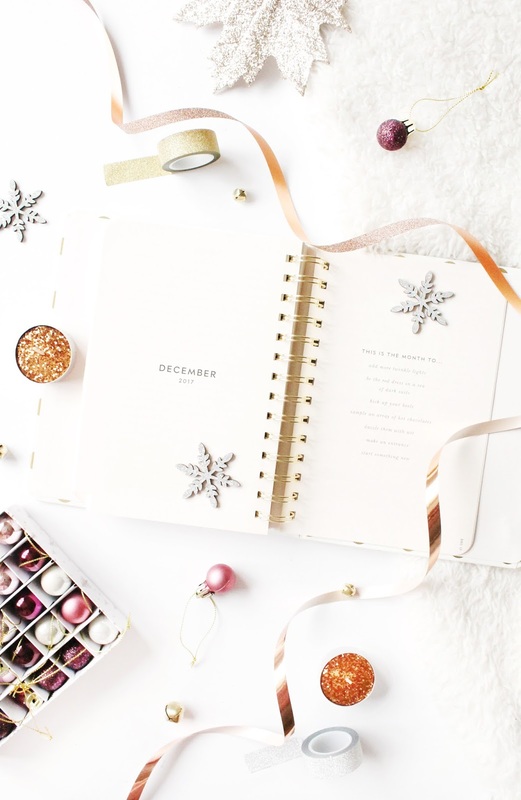 Every now and then I like to write up goal style posts and with December finally being with us, I thought i'd put together a festive style goals post of all of the things I want to do and experience this December. For the first time in a long time i'm really excited for Christmas and the time to just spend with my loved ones! Putting up the Christmas tree - I mean of course this is top of the list because what else is as exciting other than Christmas day itself than decorating the Christmas tree! This year we're hosting Christmas day and i've made a point of demanding we have a real tree and by real, I mean a huge real tree! Every year I decorate the tree and every year I go for a different colour theme, so i'm excited to get experimenting! Finishing my gift guides - If you've been following my blog for a while, then you'll know that every year I put up a few gift guides and this year the stress has been real! I finally posted my first gift guide this week, which you can read here but i'm very aware that my gift guides are a lot later than everyone else's and the stress is real! Having said that over the next two weeks you'll be getting gift guides left, right and centre from me so watch out for those. Enjoying all of the Christmas parties/dinners - I like to think i'm very lucky to have the opportunity to celebrate Christmas more than once and this year I have four different celebrations planned. Our team at work are going for a cute Christmas meal next week at the local pub, and the following week we have our office Christmas party, which i'm so excited for (Give me all the prosecco, yass)! Also because my Dad lives in Plymouth we have a few things planned when I go to visit, and then of course Christmas day itself. I'm already accepting the fact i'm going to put back on all the weight i've lost these past few months! Spending time with loved ones - I know Christmas isn't the only time to do this, but I love that Christmas brings everyone together. I have definitely taken for granted the years when I was younger when I was able to see family fairly often, whereas now being in a full time job it's not as easy so i'm really looking forward to seeing my family and friends over the festive period! Giving gifts - There is nothing more that I love at Christmas than spoiling my family and friends. I'm one of those that loves giving and seeing everyone's faces beaming with happiness, as it makes me all warm and fuzzy inside! Enjoying some down time - This kind of links into a few of these goals but I can't wait for some time off. Some time to myself to just recoup, chill and get myself geared up for the New Year!